‘Is This Working? The Businesslady’s Guide to Getting What You Want from Your Career’ Is Here! Last night, I got my copy of the newly-released Is This Working? 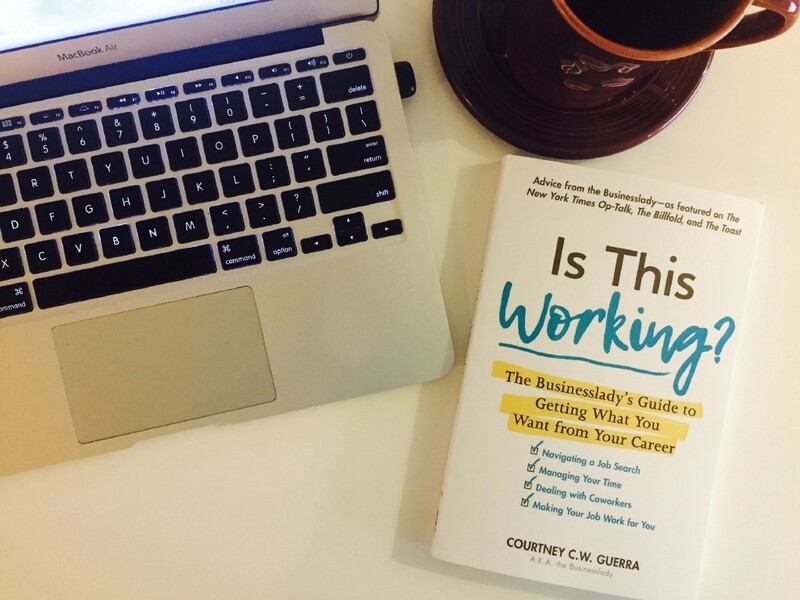 The Businesslady’s Guide to Getting What You Want from Your Career—which, if you haven’t yet guessed from the title, is by Courtney C.W. Guerra, aka Businesslady of Billfold column fame! There are questions about how to adjust your sleep cycle to a new job, how to deal with emotional and household labor when both you and your partner have time-consuming jobs, how to avoid procrastination—a question that isn’t answered in the way you might expect—and more. If you’ve enjoyed The Businesslady’s Billfold column, you’ll definitely enjoy this book. It also makes an excellent gift, especially for a college graduate. Or a grad-school graduate. Or a person who just got their first job. Or a person who’s considering changing careers.